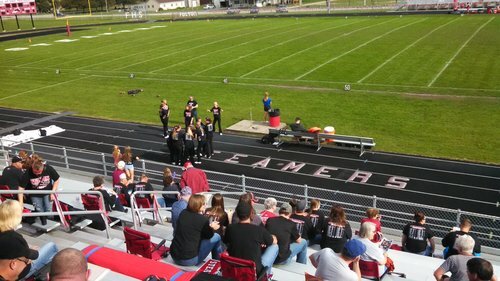 Follow our reporters live as they tweet from high school football games from around the Q-C area. 100 freestyle - 1. Sarah Schemmel (Mus.) 52.91. 2. Alexis Hagen (Mus.) 54.56. 500 free. - 2. Taylor Beadle (Mus.) 5:15.21. Fetterer with a great PICK in the end zone!! Rockets take over on the 20. 100 butterfly - 1. Meredith Cox (Dav. Central) 59.18. 3. Allison Fellner (Dav. Central) 1:01.45. Riley Fetterer with the 16 yd TD & a great block by Nick Holbert! McVay hits the PAT kick & the Rockets now lead 35-7!! 8:59 3Q. Rockets kick off to start the 2nd half and force a FUMBLE! Rockets recover and start 1st & 10 on the EPC 36! 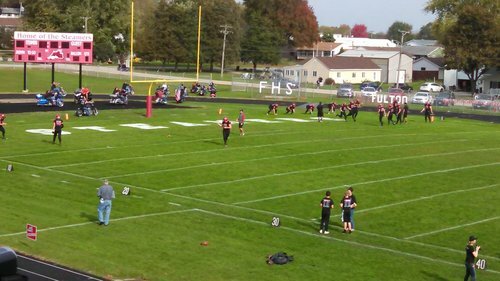 Rockridge 28 EPC 7. Halftime. Some early results from regional swimming. 200 medley relay - 1. PV (Zahara, Goodman, Chotiprasidhi, Groenenboom) 1:48.25. 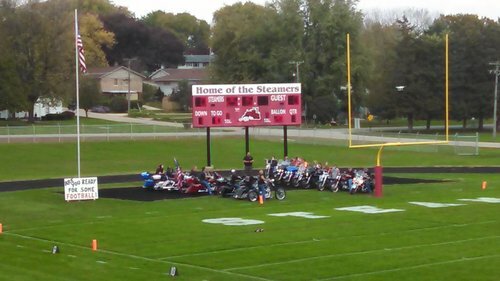 #qcvarsity To the sounds of revved up Harleys, the Steamers have taken the field. It is off to Fort Dodge. State cross country meet begins at 11 a.m. Saturday.